Looking to get your GTA on? 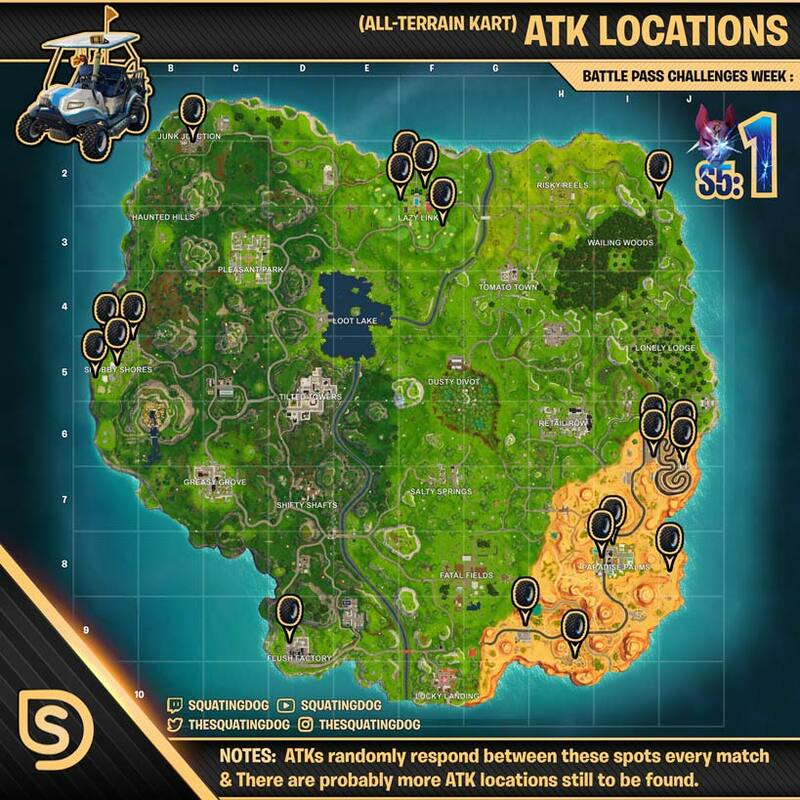 Check out the map below for all the locations of the brand new all terrain karts / buggy’s. Fortnite All-Terrain Kart (ATK) / Buggy / Car Powerslide! Don’t forget to powerslide for those much needed boosts, time them right and you can drive up the side of hill / small mountains! The roof also acts as a bounce pad!